We use our fingers for almost everything, from texting to government records. The option to open a smartphone or tablet with a quick three- to 10-second scan of a thumb seems fairly easy, desirable and convenient. Thanks to the spread of this technology on an everyday basis with technologies such as Apple's Touch ID on iPhone 5 and newer, more users have implemented fingerprint authentication than ever before, and the enterprise has taken note. An increasing amount of enterprise applications now offer fingerprint authentication in addition to passwords and PIN codes. Industries such as banking and healthcare are finding that mobile biometrics provide high-level security on the move. Mobile apps, such as Capital One Mobile, are starting to use fingerprint authentication for users to access the app instead of entering a PIN code. For any apps that employees access with biometrics for business use, IT admins should require users to create a backup password to maintain access if the scanner is not functioning properly or damaged. Smartphones with fingerprint authentication capabilities include Samsung Galaxy S7, S7 edge and S8; Google Pixel XL; Huawei Honor 8; LG G5; Meizu Pro 6 Plus; HTC 10; Sony Xperia XZ; and Apple iPhone 5 and newer. The Samsung Galaxy Tab S3, Apple iPad Pro and Huawei MediaPad M3 are all tablets that offer fingerprint authentication as well. These devices are good options for organizations that require or encourage workplace mobility and want to enforce tight security with fingerprint biometric software because the biometric authentication hardware is already in place. 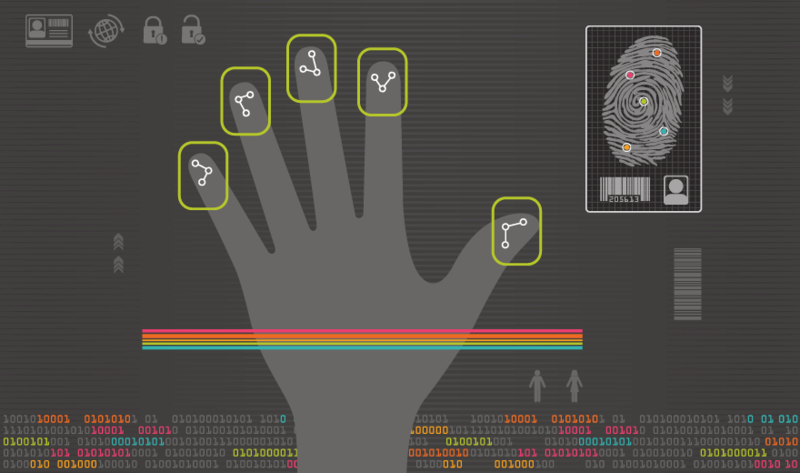 Do you think fingerprint biometric software is safe enough? Why or why not?